Area (approx): 640 sq. 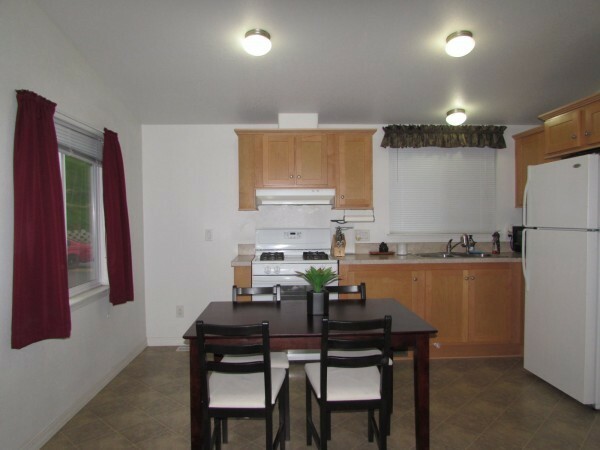 ft.
Beautiful 2012 Slyline Manufactured home in a gated all age community. Gorgeous kitchen with beautiful cabinetry, stove and refrigerator. Desirable open concept floor plan. Large living room, dining area. Indoor laundry room with washer/dryer included. Master bedroom features a private bathroom and large closet. Guest bedroom and bathroom with tub/shower combo. Central heat, dual pane windows, drywall throughout, shingle roof. Summit Ridge Resort is a community in a central location in San Diego. Priced to sell fast!BEAUTIFUL 2012 SKYLINE MANUFACTURED HOME.